OSCAR is the new innovative absorption meter, which measures the real absorption spectra without the use of many assumptions, like other meters on the market. This meter follows the principle of the well-known PSICAM (Point Source Integrating Absorption Meter). It is ideal for applications such as water quality, satellite validation, algae blooms, biology and ocean optics. 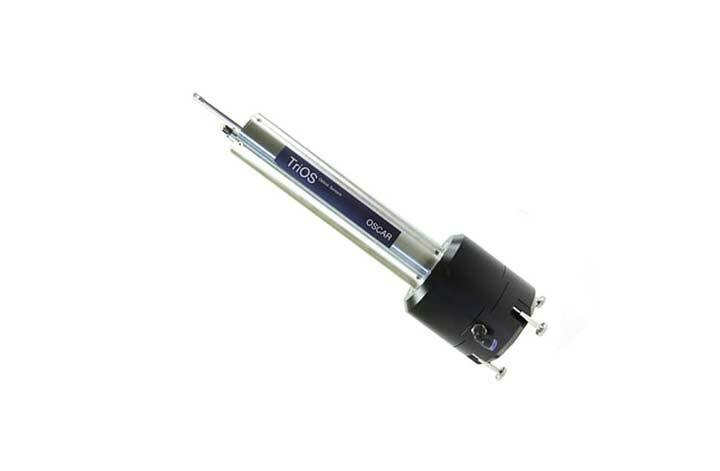 OSCAR is suitable for laboratory use but also for in situ profiling and moored applications. Its internal data-logging function and low power consumption make the sensor suitable for the autonomous measurements. Built out of solid stainless steel/titanium and using a flow through design, OSCAR provides excellent reliability at a low cost in one fully integrated package.